Arthur Zuckerman has over 20 years of experience in the alternative investments industry and is a recognized thought leader in private equity administration and scalable systematization. 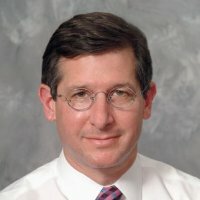 Mr. Zuckerman is the Chief Operating Officer and Chief Compliance Officer of Avista Capital Partners, a middle-market private equity group with $4.5 billion in assets under management. At Avista, he manages accounting, treasury and tax for funds, manages US and UK legal and regulatory issues, human resources including recruiting, staffing and benefits as well as technology matters. Prior to Avista, he was the Founder & CEO of The Tricycle Group, a private equity focused consulting firm serving over 35 clients ranging from $50 million to $16 billion of assets under management with operating and administrative issues. Previously, Mr. Zuckerman was the Chief Financial Officer at Evercore Partners (NYSE: EVR) a $1.2 billion private equity division of a boutique investment bank. He was also the lead project manager for Credit Suisse’s Alternative Asset Division, a $31 billion in assets division including private equity buyout, venture capital, real estate investing, hedge fund investing, secondary fund investments and placement business. Prior to that, Mr. Zuckerman was the Chief Financial Officer and Chief Administration Officer for the Sprout Group, DLJ’s $3 billion assets under management venture capital division. Mr. Zuckerman began his career at Lehman Brothers and Oxford Capital. He holds an MBA from Columbia Business School and a BS from the University of Pennsylvania.